May 14-15. Rest day finally. Yesterday, I would describe as beauty and the beast. 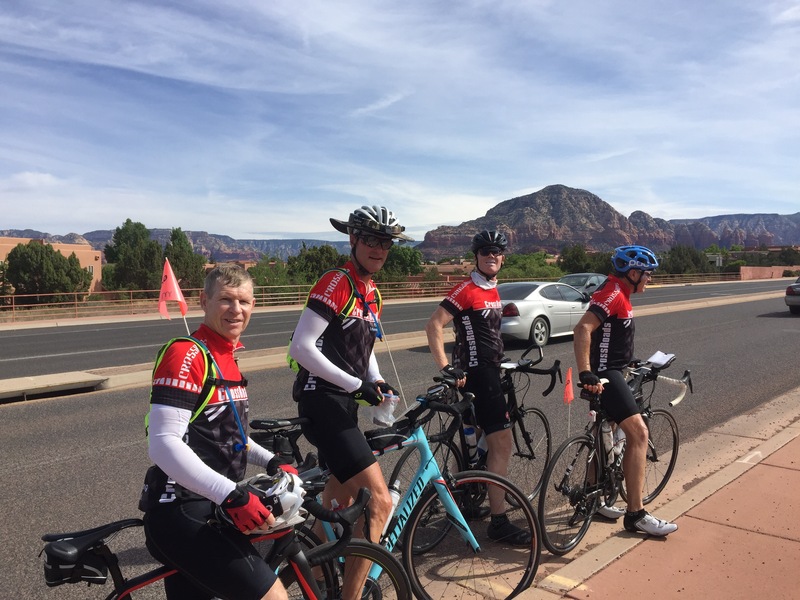 Started as a steady climb then magic– the outskirts of Sedona. God had his best paints and brushes saved for here. We stopped just into town for a smoothie- peach and banana but I paid for that pleasure – serious hypoglycemia after . See if you spot Americas favorite beagle, Snoopy in the photo I took there.you’ll also see a shot of 4 of us sitting around – Kevin and Mary are on the right andboth back in the game- after their fall on the way into Wickenberg. 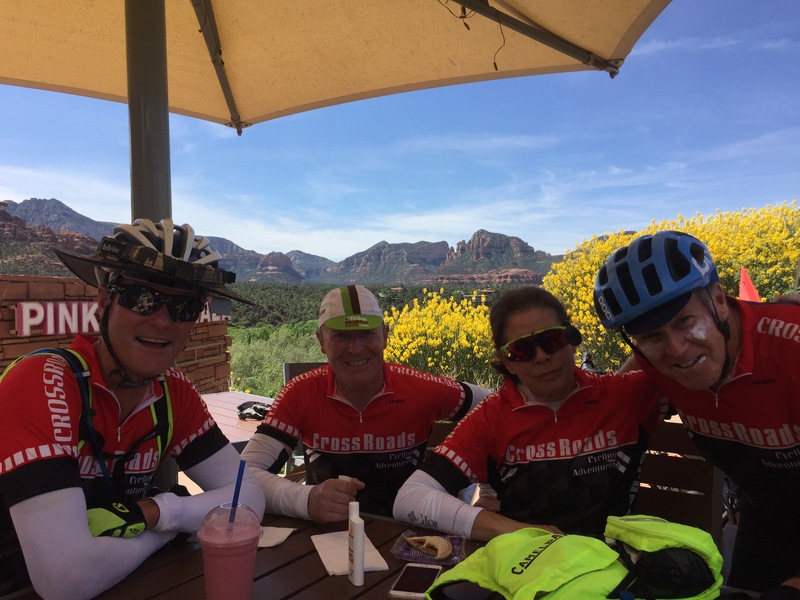 The beast today was – it was Saturday, and the climb out of Sedona to Flagstaff goes thru Oak Creek Canyon- beautiful, tortuous 12 mild climb with Slide Rock, a natural water slide, on the left which was full of funseekers. 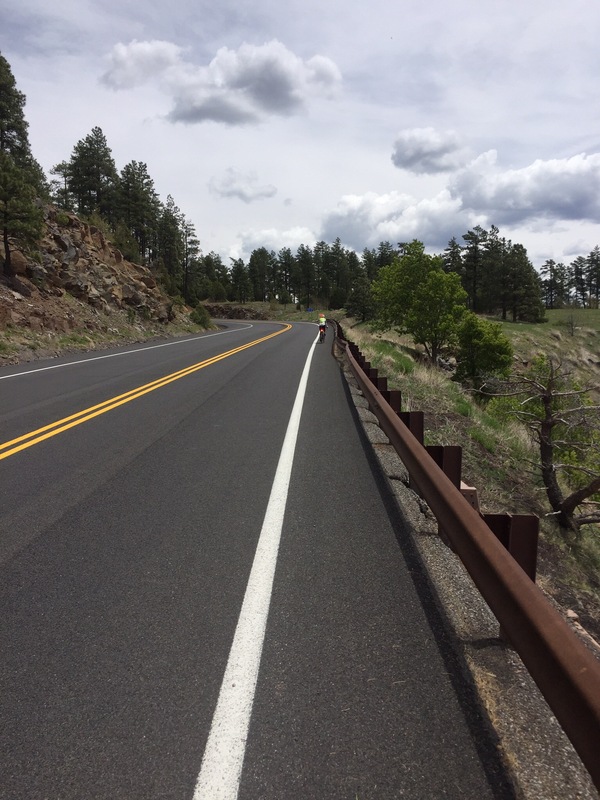 It’s max stress for cyclist like us though.There is a single white strip separating us from gravel or a steep descent into trouble. And I got my 1st flat out there! 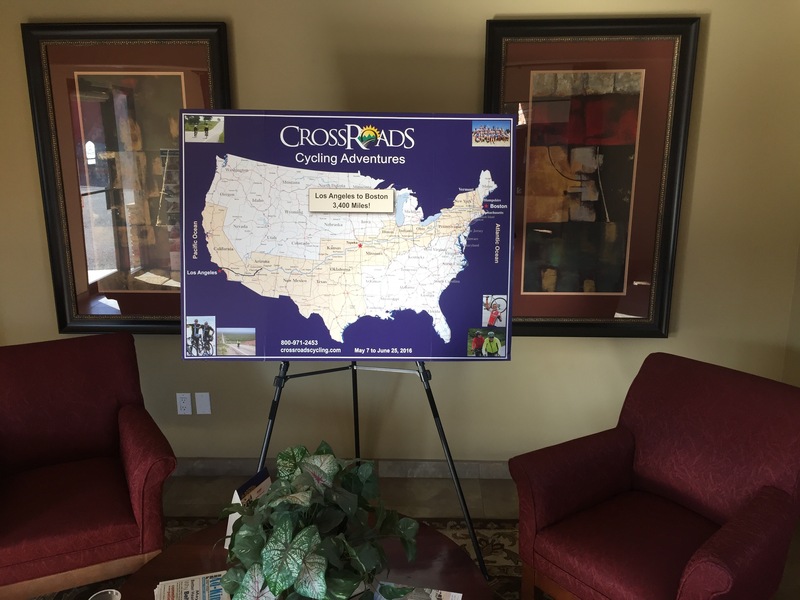 Thanks to buddies with me – especially Sabine – a terrific cyclist from Media, Pa. – the change went smoothly. Got to Flag the day NAU had graduation so the town was hoping! Flagstaff is a cool place . Mix of old West timber, railroad and ranching with a modern change into an outdoor lovers paradise. I just finished a phenomenal sports massage with Angela Gavelli – if anyone is here check her out 1(928)853-2504. She said Flag has become a major training site for Olympic teams world wide. At 7200 ft it is the ideal altitude. 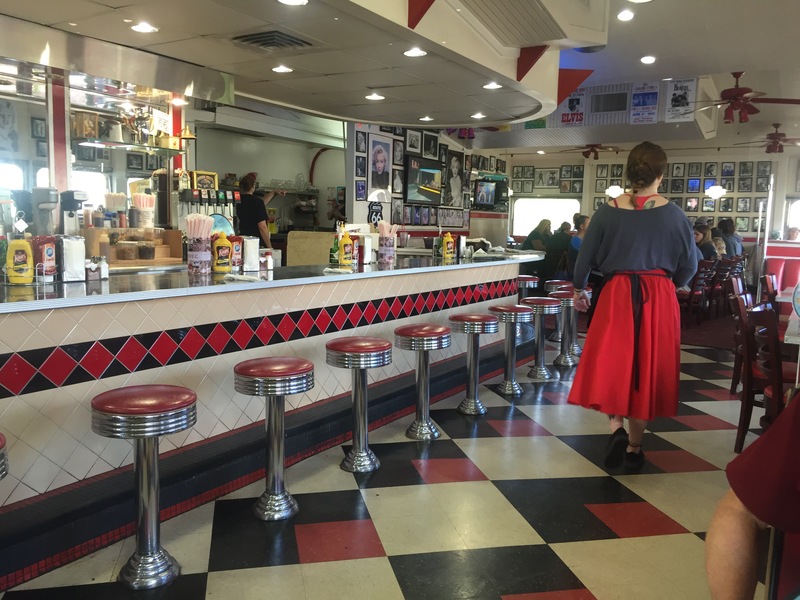 She worked on the Olympic swim teams from Israel and Turkey this weeks alone !One of the Brits – Howard -wanted a real American diner experience. Check it out poodle skirts on Rt 66 – The Galaxy diner . There are more photos here of old movie scenes and stars than in Hollywood itself! 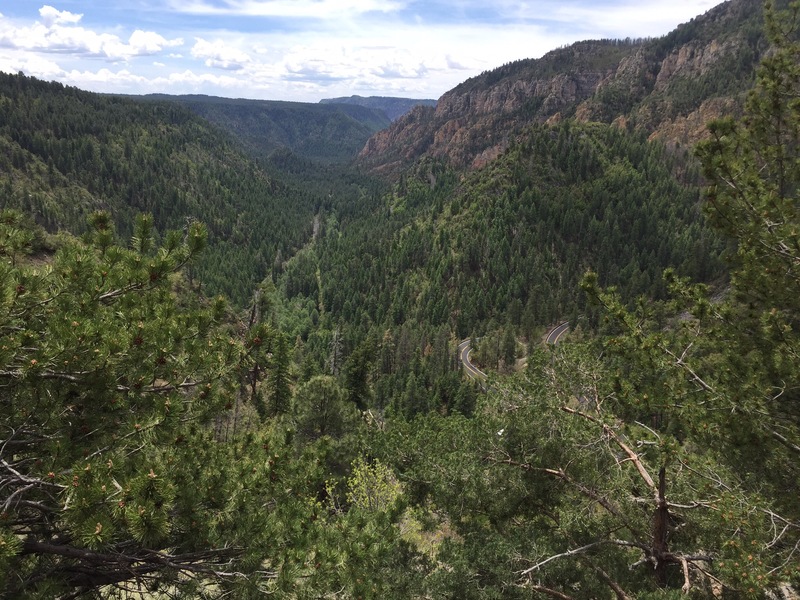 One of the photos shows the thru Oak Creek Canyon from above. Rest day tomorrow in Flagstaff- yeah! 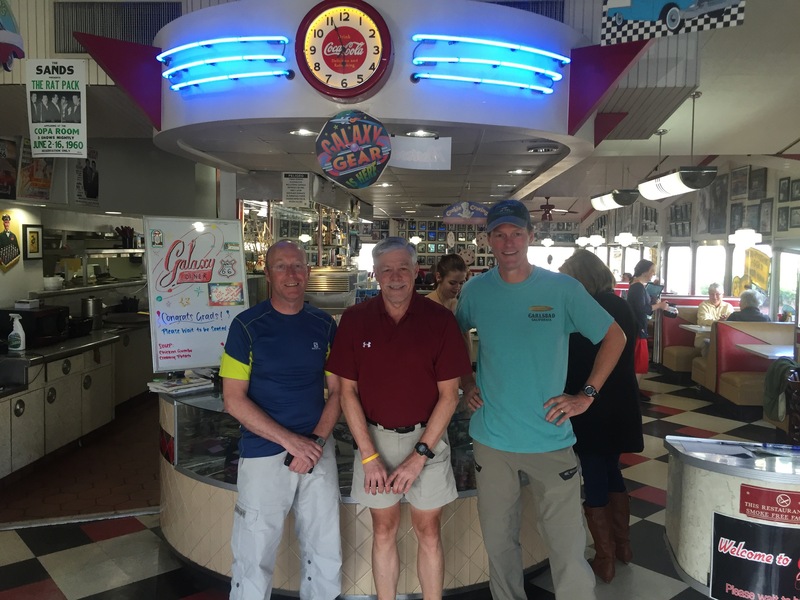 Day 9 Flagstaff to Holbrook Az. A fl*t? (We cyclists don’t like to use the f-word.) I was hoping the tire liners would prevent any flats, but I guess they aren’t perfect. I remember driving that stretch when Will was 4 months old with some snow on the side of the road. That must be a bear to bike but at least it is beautiful. Glad no car run in’s. I biked from the Oregon border across the Golden Gate bridge to celebrate finishing residency with a friend and we did it in a little less than a week and only biking around 50-60 miles per day and that was tough. The worst was avoiding lumbar trucks through the redwoods on a similar hwy – yickes. I’m feeling for you at the altitude. 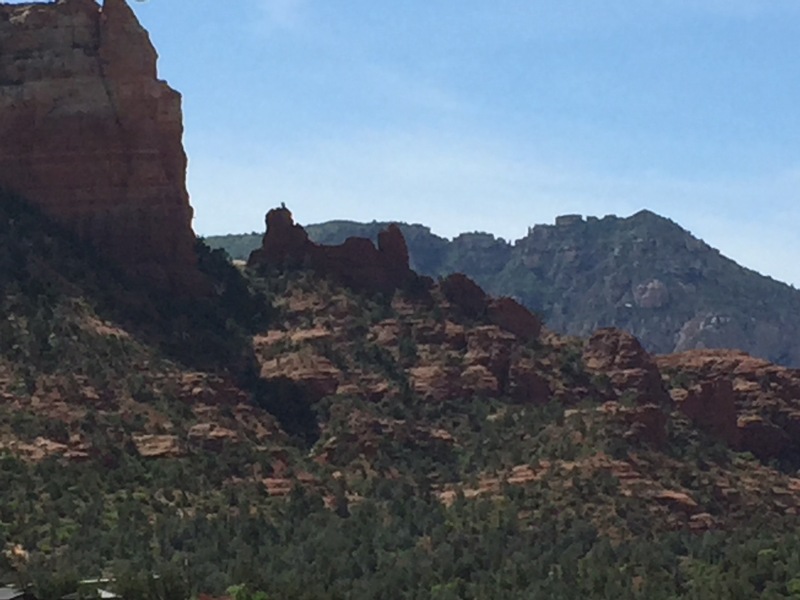 Sedona is great! I spend a lot of time there. That climb outta Oak Creek is tough! (& scary). Glad you are doing well. Craig We need to communicate better before those Saturday ride dude, I left home and went West then North – I got lost! I’m out here in Holbrook Az looking for ya!! Haha- save s Sat spot for me in 6 weeks!